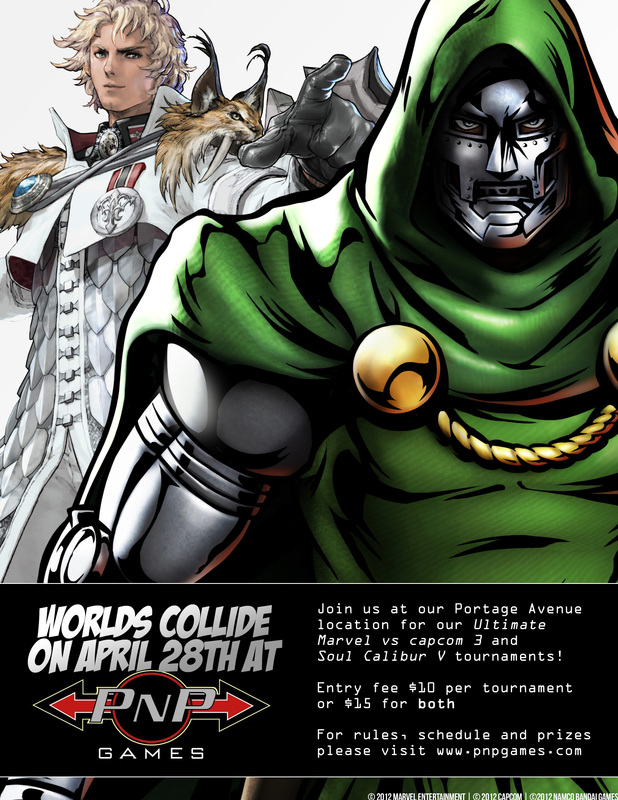 Join Us At Our UMVC3 / Soul Calibur V Tournaments! 12:00pm – Ultimate Marvel vs Capcom 3 Tourney Begins! 4:30-5:00pm – Soul Calibur V Tourney Begins! RSVP right now on Facebook!